A name best known for the Youth Hostel that occupies the old corn mill buildings at the foot of a steep rocky ravine down which Mill Beck flows into the sea. 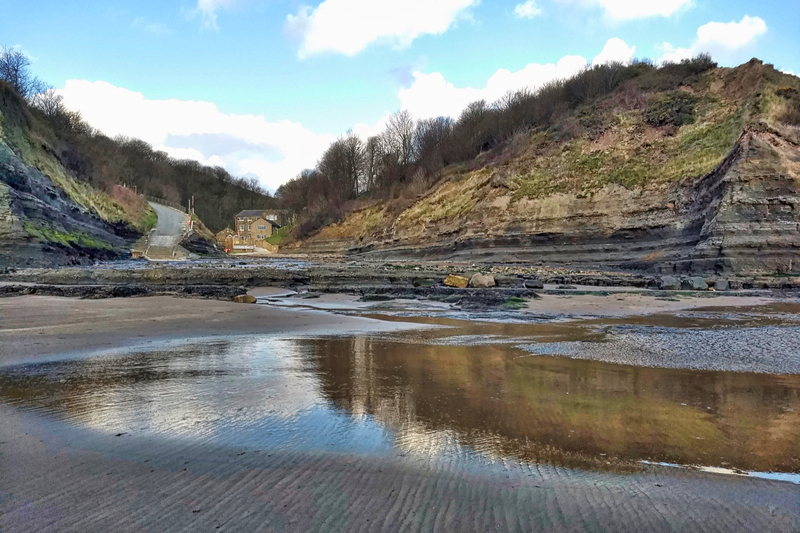 Boggle Hole is one of the last six remaining Youth Hostels in the North York Moors, the others being Whitby, Scarborough, Osmotherley, Helmsley and Lockton. The old mill was Bay Mill and Boggle Hole is actually a small cave in the cliff a short distance to the left. It was supposedly the home of a boggle, a small, hairy, malevolent creature whose kin are found in folklore throughout Northern England and Scotland, and go by various names: hobs, pixies, goblins, boggarts, brownies. It was thought that boggles had magical healing powers and in this case, it could cure whooping cough. The locals would bring their sick children to its cave in the hope of them being cured.